Created by Governor Matt Mead, The Wyoming Seat Belt Coalition’s mission is to increase seatbelt usage in Wyoming to prevent fatalities and decrease the number and severity of injuries in traffic crashes. By working together to increase seat belt usage, we can drive our state toward zero traffic deaths. Kendall is a graduate of The University of Wyoming, where she received her B.S. in Agriculture Business and her M.S. in Agriculture Economics. Kendall currently serves as the Southeastern Youth Board Member to the Wyoming Board of Agriculture, Research Assistant to the University of Wyoming, and the President of the Young Producers Assembly with Wyoming Stock Growers Association. She serves as the Wyoming Seat Belt Coalition Chair and grassroots representative to encourage seat belt safety and save lives in traffic crashes, statewide. Kendall lives in Cheyenne, with husband James, and her family. For over 100 years, Kendall and her family have owned and operated the historic King Ranch Company in Cheyenne where they produce beef cattle and hay. Cody Beers, of Riverton, is currently in his 12th year as a member of the Wyoming Seat Belt Coalition, and he is in his 8th year, by appointment of Gov. Matt Mead, on the Governor’s Council on Impaired Driving. The Wyoming native is a 1983 Cody High School graduate, a 1985 graduate of Eastern Wyoming College, and a 1988 graduate of the University of Wyoming, with a bachelor’s degree in journalism. Beers has worked as a reporter for The Cody Enterprise, as a reporter/photographer for The Riverton Ranger, associate editor/publications editor of Wyoming Wildlife magazine with the Wyoming Game and Fish Department, and editor of The Riverton Ranger and Lander Journal newspapers. He also works as a WYDOT liaison with the Eastern Shoshone and Northern Arapaho Tribes on the Wind River Reservation, and for the past 9 years, has worked with tribal leaders, tribal members and other partners to improve traffic safety, enhance occupant protection, and end impaired driving on Wind River Reservation highways. For his efforts on the Wind River Reservation, former Gov. Dave Freudenthal presented Beers with a 2010 award for his Outstanding Efforts to Prevent Impaired Driving. Beers is the Wind River Radio Network’s “Voice” of the Riverton Wolverines football team, the radio “Voice” of the Wyoming Indian Chiefs and Lady Chiefs high school basketball teams, and baseball radio play-by-play radio announcer for Little League, Babe Ruth and American Legion baseball. He hosts the “Drive Home” radio show on Riverton’s 93.9 KTAK-FM (Wyoming’s Big Country) from 4-7 p.m. Monday-Friday. He has been a baseball coach for more than 20 years, including coaching at the Little League, Babe Ruth and American Legion levels. He’s also a baseball umpire at all levels of Wyoming baseball, and he was chosen and umpired at the Little League Baseball Western Regional in San Bernardino, California, in 2015, and the Cooperstown Dreams Park Tournament in Cooperstown, New York, in 2017. 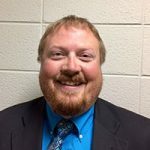 Beers has been Assistant District Administrator of Wyoming Little League Baseball for 10 years, and he is currently Assistant State Chairman of Wyoming American Legion Baseball. Beers has also coached and served as a board member of Riverton (WY) Junior League Football for 16 years. He is a member of the Riverton District 25 Recreation Board, a member of the Fremont County Library Foundation Board of Directors, a member of Sons of The American Legion, and a graduate of Leadership Fremont County (2011-12). For his dedication to youth recreation, the District 25 Recreation Board honored Beers in 2009 with its Volunteer of the Year award. Sgt. Elazizi was born and raised in Cairo, Egypt. He moved from Egypt to chase his dream of becoming a United States citizen in 2011. Before joining the Patrol, Sgt. Elazizi worked with the Wyoming Department of Corrections (D.O.C.) as a Correctional Officer. He worked his way up to the rank of sergeant at D.O.C. before joining the Wyoming Highway Patrol in 2015. As a member of the Patrol, Sgt. Elazizi worked primarily in the Cheyenne area as a trooper before being promoted to Sergeant on February 1st, 2018. As the Safety Education Coordinator, Sgt. Elazizi will primarily be in charge of organizing safety education events across Wyoming and maintaining partnerships with many safety advocate organizations at the local, state, and national level. Sheila D. Foertsch has been with the Wyoming Trucking Association, Inc. for 41 years, serving as their Managing Director and lobbyist for the past 24 years. The Wyoming Trucking Association, Inc. represents 400 members, including all types of motor carrier operations from the owner operator to international carriers, as well as allied members who serve the trucking industry. She has served as the Chairman of the Western Trucking Association Executive Council, the Chairman of the national Trucking Association Executive Council and is a past member of the Research Advisory Committee of the American Transportation Research Institute. She serves on the Board of HELP, Inc. (Heavy-vehicle Electronic License Plate), currently serving on HELP, Inc.’s Safety Committee and Operations Oversight Committee and is a past member of that group’s Executive Committee. She is a current member and past President of the Wyoming Society of Association Executives and Wyoming Capitol Club. 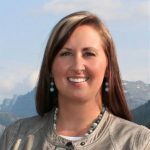 She has served on several gubernatorial appointed committees and task forces, is a current member of Governor’s Seat Belt Coalition and facilitates the Governor’s Wyoming Transportation Safety Coalition. She serves on the Board of Wyoming Excels and is WTA’s representative to the Wyoming Business Alliance, the Western States Transportation Alliance and Women in Trucking. She has been in active in various WYDOT and WHP working groups and served on the I-80 Corridor Study Steering Committee. Karson James is the Manager of the Highway Safety Behavioral Grants Program at the Wyoming Department of Transportation. The Program’s goal is to reduce traffic crashes, deaths, injuries and the associated economic losses in Wyoming through the coordinated efforts of state, local agencies and other safety partners. The Highway Safety Program provides project funding to help achieve stated program goals and objectives which address identified highway safety problems. Priorities of safety effort and location are based on projects with the greatest likelihood to impact crash and injury reduction. For the past twenty years Rich has worked as a private consultant assisting nonprofit organizations, public agencies, and private corporations in developing strategies to accomplish projects, initiatives, policy change and missions. 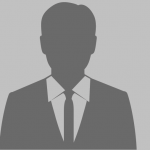 He also serves as a policy consultant to the Council of State Governments – WEST in the areas of energy, health, economic development, and state and federal relations. 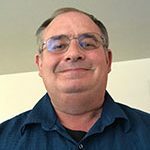 Rich was a technical assistance consultant for tobacco, underage and adult binge drinking, suicide, and prescription drug abuse prevention community programs for the Wyoming Department of Health substance abuse division for nine years. 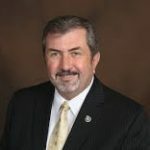 Prior to starting his own consulting business, Rich served in a number of capacities for Governor Mike Sullivan including state planning coordinator, international trade director, and deputy director of the state’s economic development programs. Rich has two masters from the University of Wyoming in Public Administration and International Development. Troy McLees is a retired Captain from the Wyoming Highway Patrol. He served 25 years with the Wyoming Highway Patrol, in Laramie County. Troy’s career started in the Cheyenne division and his first duty station was in Pine Bluffs, WY. 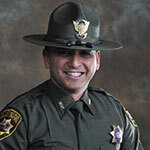 As a trooper, he served 9 years in the Cheyenne division before moving into the Safety and Training division. Troy served in the Safety and Training division for 13 years before promoting to Captain of Communications in 2013 before retiring. 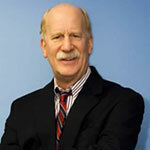 He brings a wealth of experience and knowledge on traffic safety, crash investigations, and communication strategies. James M. (Mike) Reed, although born in Kansas has lived in Wyoming for over 38 years and considers it home. Having started his career in the private sector Mike quickly became involved locally serving as Chairman of the Carbon County Child Development Center, Carbon County Counseling Center and finally as the Chairman of the Carbon County Memorial Hospital. Mike currently holds the position of Wyoming State Fire Marshal and is proud to continue his service with Wyoming s great Firefighters. 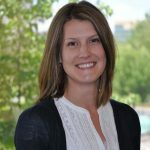 Meredith Towle is the State Occupational Epidemiologist at the Wyoming Department of Workforce Services. 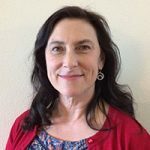 She has over 15 years of experience in public health research, surveillance, and program management, with most of those years being dedicated to worker health and safety in various capacities. Her experience spans the topics of infectious disease, lung cancer screening, mining- and manufacturing-related lung disease, community health impacts of oil & gas extraction, and health risk behaviors among workers. In her current position she serves to study and report data on work-related injuries, illnesses and fatalities occurring in Wyoming. These data are used to identify health and safety priorities, inform policy makers, and educate employers and workers about hazards and risks on-the-job. Ms. Towle holds a Masters in Public Health from the University of Colorado and is a member of Delta Omega, the Honorary Society in Public Health. 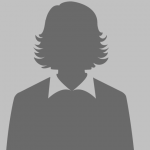 She is an active participant in several national and regional committees, including the NIOSH National Occupational Research Agenda Oil & Gas Extraction Council and the Council of State and Territorial Epidemiologists Occupational Health Leadership Committee.